As Wimbledon is coming to an end this week, we are celebrating by having a Fred Perry Sale Event. So if its a lads holiday to Ibiza or just a top up of the wardrobe, our Fred Perry Sale event at Apacheonline will save you money and time. 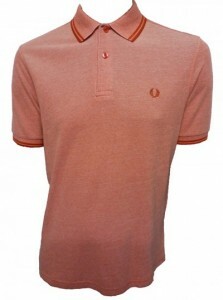 This is the classic and iconic M1200 Twin Tipped Polo Shirt and we have a selection of colours now reduced to only £27.50, 50% Off. 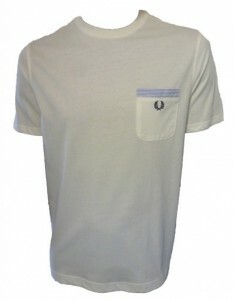 The next selection in our Fred Perry Sale is the M2214 Woven Stripe Trim T Shirt and is also now reduced by 50%. Was £35.00, Now £17.50. Our last selection are these amazing shorts. 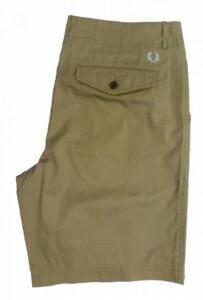 The S2200 Overdyed Chino Short is a classic style that will never go out of fashion. Price Was £70.00, Now Only £35.00. Don’t miss out on these amazing Fred Perry Sale bargains as when they are gone, they are gone.